Beside the usual Tomica Limited Vintage and Tomica Limited Vintage NEO, this month is really special for Tomytec with the release of the Nissan IDx Freeflow. 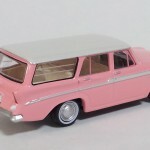 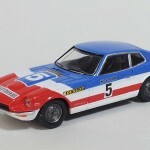 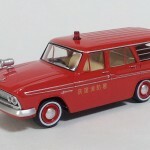 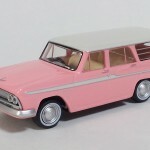 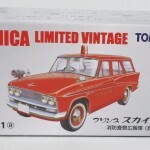 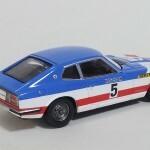 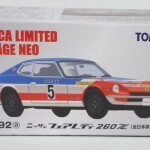 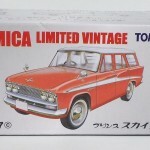 First car ever in the Tomica Limited Vintage line that is not actually a vintage car, this model will be followed in June by the Nismo version. 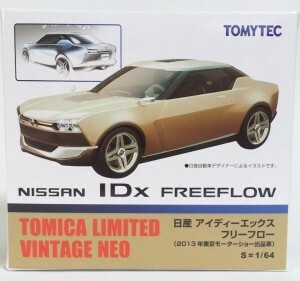 Fingers crossed that Tomytec will do more concept and modern cars in the future ! The box of the IDx Freeflow is bigger than usual. 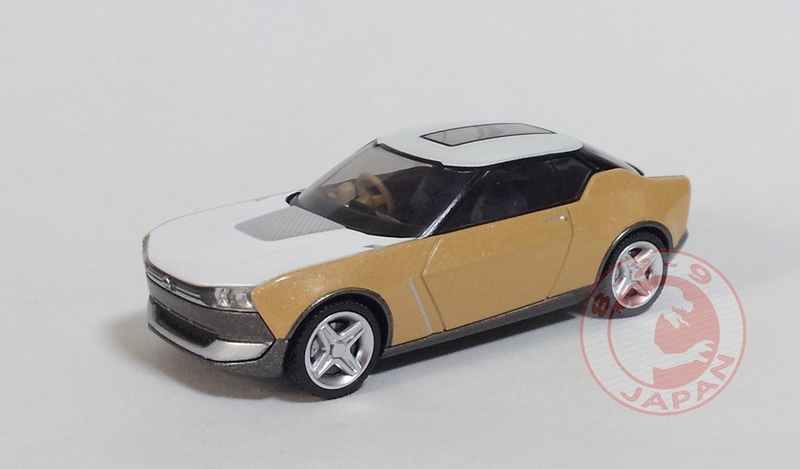 The artwork comes directly from Nissan’s Design Department and the two tone beige and white matches the car’s color. Inside the box is a card with pictures of the real car, the whole purpose is to hold the detachable TLV points. 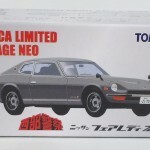 The car itself is secured in a big plastic shell and the mirrors in a plastic bag at the bottom of the box. 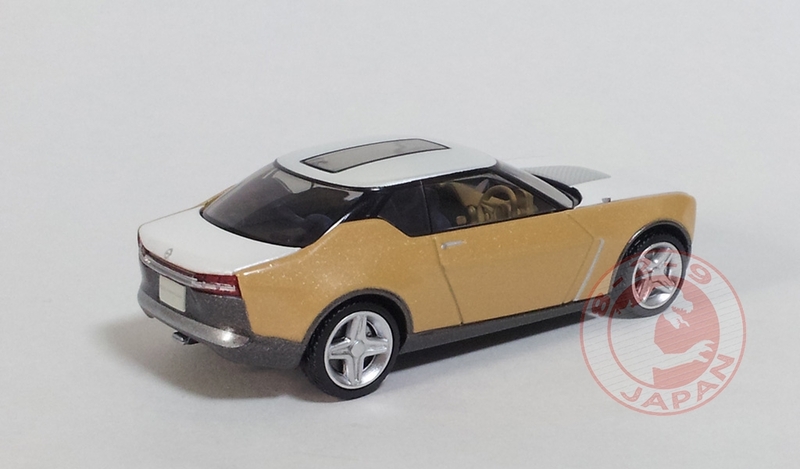 Despite the fact that the IDx was introduced as the TLV 10th Anniversary special model, there is no mention of it on the box. 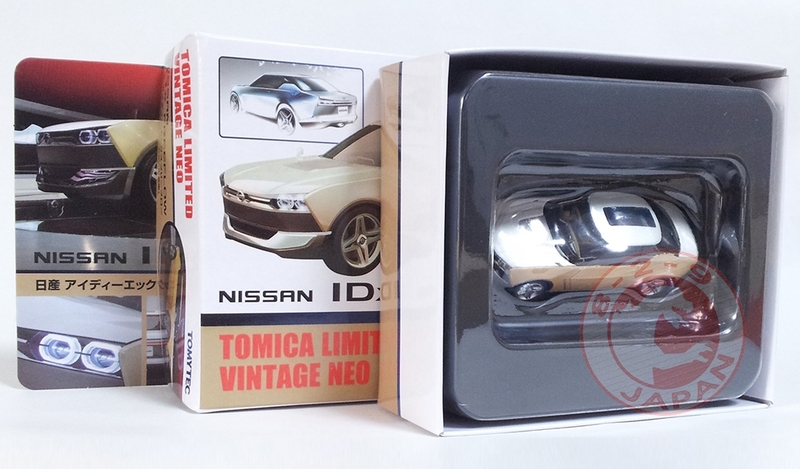 This could, hopefully, lead to more concept cars using the same packaging. 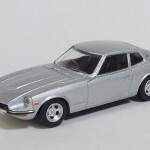 The other TLV releases of May includes the LV-141a Prince Skyway (Fire Inspection Loudspeaker Van), the LV-47c Prince Skyway and the LV-N92a Nissan Fairlady Z 2by2 (All Japan Student Automobile Federation). 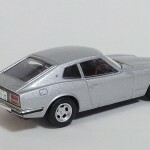 Eleventh release of the Seibu Keisatsu line, this silver Fairlady Z 2by2 was featured in a memorable car chase scene in episode 104 (aired in November 1981). 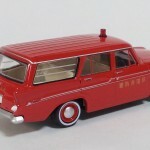 You can see it performing a huge jump over a river on this video.